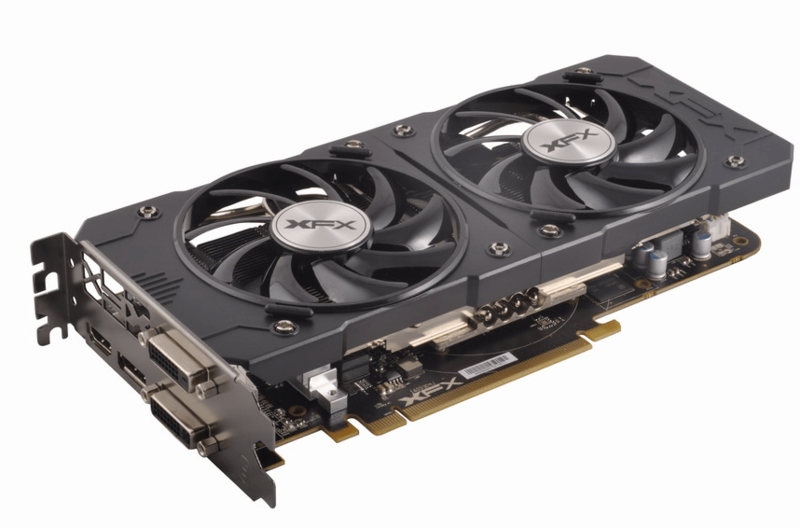 XFX R9 380 4G DD, XFX Review, XFX Rocks the DD Cooler Again! XFX R9 380 4G DD, XFX Review, XFX Rocks the DD Coolers Again! Performance counts and this technology refresh is shaking up the pecking order of GPU’s which is good for everyone all around. With the GTX 960 GPUs staring 2G of GDDR5 in the face running across a narrow 128 bit bus the XFX R9 380 4G is looking pretty sweet. A full two GB of additional GDDR5 and a 128-Bit wider bus than GTX 960. Now 2GB of GDDR5 will push 1080p gaming all day. Kick resolutions up to 1440p and it starts to drag, kick up to 4K and 2GB of GDDR5 is strangling you to death and that’s just a fact. 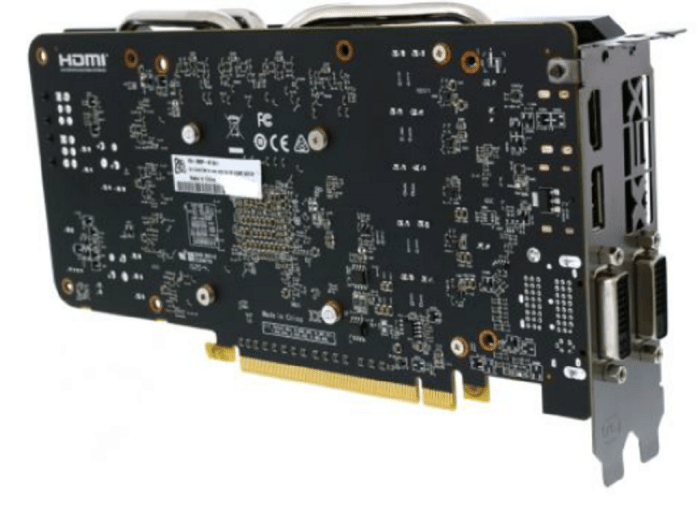 Now take XFX’s R9 380 4GB Double Dissipation design and you have a smooth running GPU waving its full 4GB of GDDR5 in your face and whispering 256-Bit bus in your ear. So far we like the XFX R9 380 4G DD, Once we get the test runs on the charts I’m betting we like it even better. Done in classic black on Black inside that cowling is XFX’s Ghost 2 technology featuring major improvements over the previous cooling system by providing open airflow over the PCB that allows air to quickly ventilate as the vital components get cooled so does the PCB. Of course it’s the double fans that make it a Double Dissipation card. The fans run at a lower speed, 3200 RPM vs 4000 RPM, and the fans are larger to compensate for the slower RPM’s. The end result being a GPU that is up to 13dBA quieter and up to 7°C Cooler. The XFX had to stir the pot and come in with Duratech professional grade components to ensure the best and longest lasting graphics experience XFX graphic cards are made from the highest quality parts which may include the capacitors, ferrite cores, mosfet, fans, brackets and PCB material are built to last in addition to providing you with better performance and increased lifespan for your product. Did they go far enough, well not according to XFX they also incorporate XFX Duratec Dust-Free IP5X Fans and while IP5X isn’t the absolute best standard (IP6X is) the IP5X standard is a very high hard to achieve standard when it comes to keeping dust out of your fans. Keeping dust out of your fans increases their lifespan, increase the lifespan of the fan you keep components cooler longer and again increase longevity of your GPU. The XFX R9 380 4GB uses back mounted / facing 6 pin PCI-E power connectors (2) which is a sight for sore eyes as top mounted inevitably leads to wires rising out of your chassis like the ST Louis Arch. Under that classic black cowling XFX uses direct contact heatpipes that directly touch the GPU core, on the backside of the heatpipe it touches the GPU block that has a vapor chamber in it. 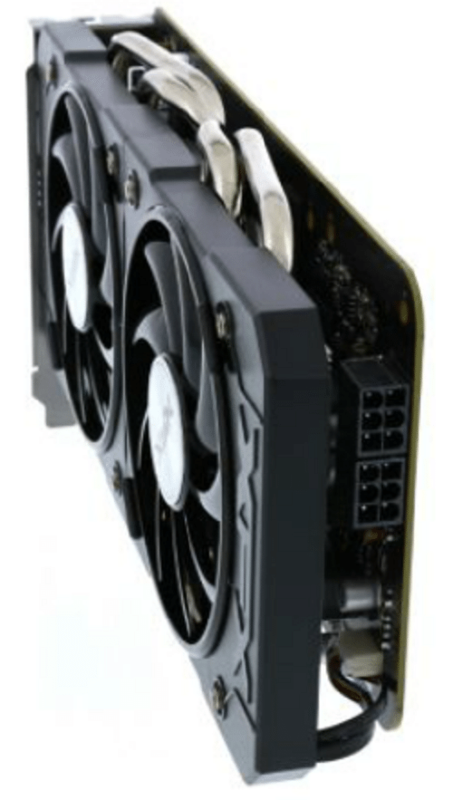 XFX calls it the Hydrocell Thermal Solution, it’s a vapor chamber cooling cell that uses a hydrotransport system. 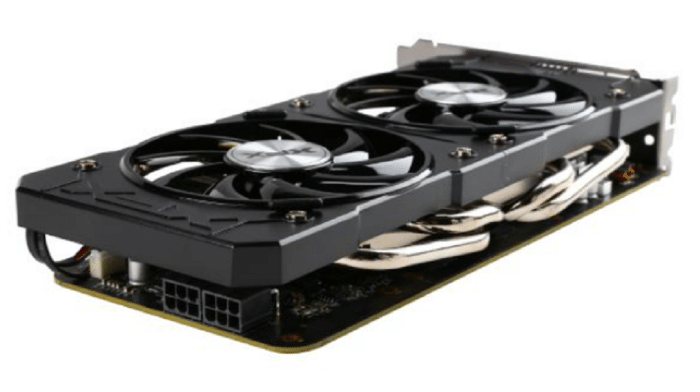 the coolant drips into the vapor chamber a liquid where it gets heated and turns to a gas, then through the heat pipes condensing to a liquid and repeating the cycle helping to keep your XFX r9 380 4G DD cooled in an eternal cycle of liquid to gas, gas to liquid. The now gaseous coolant travels up the heap pipes which are intertwined with the heat sink fins, the DD fans blow across the fins which are soaking up the unwanted heat and cools the gas sending it back to a liquid form to circulate back into the vapor chamber. Seen standing up you can see the heatpipes standing there passing by the fans and looping back to the vapor chamber, The Liquid to gas, gas back to liquid cooling method has been used for a long time XFX just put the Vapor chamber twist to it letting it whisk away more unwanted heat. Packed in there with XFX’s technology is AMD Power Tune 2.0 Smart performance the GPU adjusts to current conditions both load and thermal we borrowed a section of text from XFX to better explain. It’s hard to fathom the technology that goes into the ever-increasing list of what GPU’s will do. The days of the old 256KB Hercules cards are gone and never again will we see a 512K card whose major boast is 16 million colors. We thought about 3d like games Doom and Wolfeinstein and now we have True Visual Stereoscopic HD3D The 3rd dimension is here thanks to AMD. AMD HD3D Technology is supported by an advanced and open ecosystem that, in conjunction with specific AMD hardware and software technologies, enables 3D display capabilities for many PC applications and experiences. I really hate your forced smooth scrolling on the website. It’s awful. FYI – You might want to check that sentence. Nice Review and agree this is a card many should gravitate toward if on 3-5 year run @1080p, and believing in the near term they could see a 1440p panel on there desktop! Now lets hope panel manufactures can start offering in 1440p panels with FreeSync (nothing all that fancy) for more like $350 and give folks a nudge. How can you test PC products, which rely on heat, in a desert climate? These results are skewed so much. 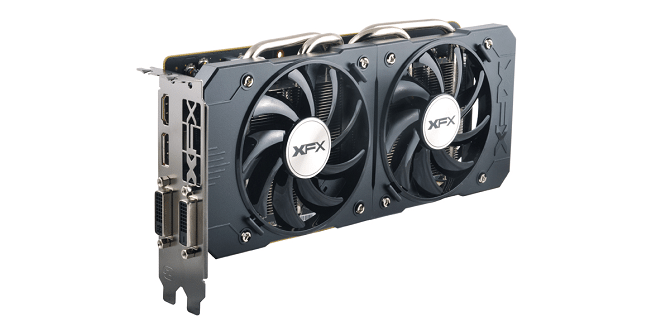 Most reviews give praise to the XFX’s cooling. Your overclocks are complete garbage. Maybe because…mmm. You’re in the desert? Before you write a review make sure you list that your climate is absolutely ridiculous in comparison to every other person who would purchase this card. 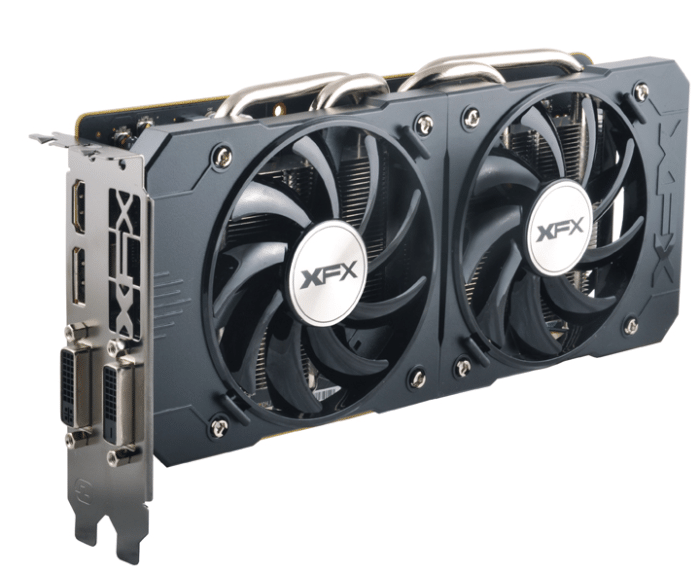 The XFX R9 390 4G makes it's presence known with a full 4G for blazing GDDR5, runs 1440, and 1080p games almost effortlessly and make 4k gaming possible with moderate settings.